Today is Black Friday, so named because as the first shopping day after Thanksgiving in the States it marks the start of the Christmas shopping season. The word black here meaning the start of business being in profit, rather than in the red (debt). 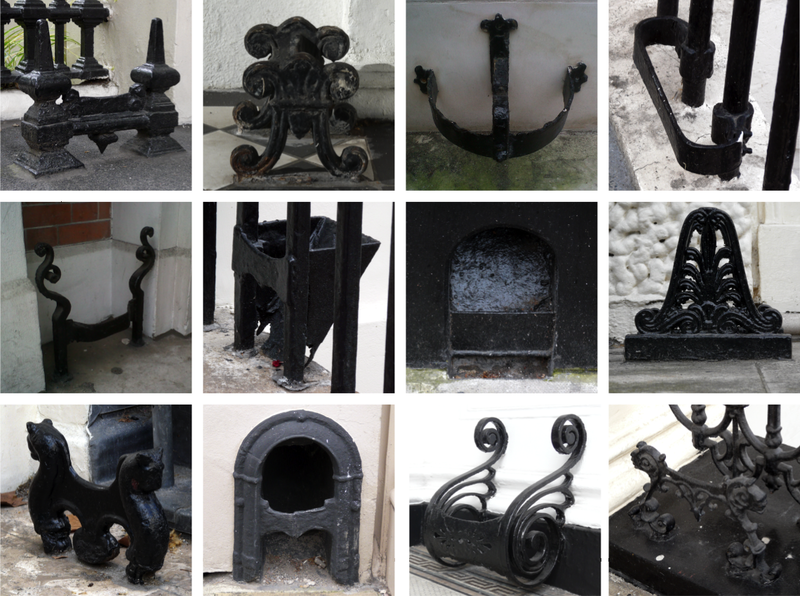 So I thought I'd mark the day with another collection of nice black boot scrapers that I have spotted around central London. To see some of my earlier posts about boot scraper please click here and here and here. Then next weekend, 6th December, sees Small Business Saturday, a day to promote and buy from small traders and independent shops. I will be selling my clay pipe creations at markets on both of these days. Today at Camden I will be offering a 20% discount. See my full market list here.